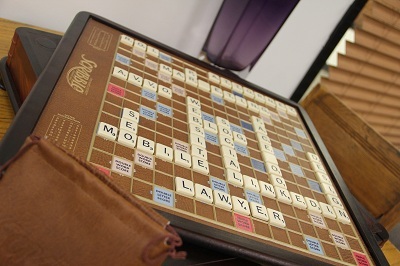 What Kind of Social Media Marketer is Best for Your Law Firm? In the world of social media marketing, there are a few different kinds of social media marketers. There are those individuals who label themselves as experts, those individuals who call themselves gurus, and still others who refer to themselves as little more than social media professionals. The important thing to remember though is that no two “experts” or “gurus” or “professionals” are alike. There are also a variety of strategies that can be employed in an attorney Internet marketing campaign. Some strategies involve the simple set up of profiles for link building purposes, others involve posting content on a regular basis (focusing more on whether or not the content has to do with a given industry and less on whether or not the content is engaging), while still others focus on starting conversations with their fan base in order to promote discussion and encourage positive word-of-mouth. Depending on your industry and type of business, all of the above strategies have their merits, yet it’s important to remember that not all strategies work for all businesses. So what are you to do if you’re a law firm and you’re looking to hire a social media marketing company to oversee your social advertising campaign? You need to ask yourself what your social media goal is. If it’s to provide your clients and/or customers with a platform to voice their concerns and complaints, then you’re certainly going to want a more hands-on social media company that can help you manage and organize a higher volume of fan interactions. If the goal is simply to provide information about your company, and continually post information about your business and/or its services, then you’re probably not going to need a social media company that specializes in managing heavy amounts of engagement on social media sites. Ultimately, before you make any decisions about hiring a specific marketing company, you need to figure out what you’re trying to accomplish through your social media efforts. So, depending on the type and the amount of work that you need done, the social media company that you hire can vary greatly. In some cases, you’re going to need a company with the manpower to oversee large campaigns, while in other cases you’re more or less simply going to need someone to advise you on best practices and strategies. Whatever you decide to do though, be sure to do your homework. Look at past results as an indicator of future successes, and you’ll quickly find yourself on the right path. For over 11 years, SLS Consulting has provided law firms throughout the country with custom designed websites, engaging content, and search engine optimization (SEO). Our legal Internet marketing efforts are also geared towards social media account creation and management. Want to grow your law firm online? Call us to find out how: (323) 254-1510.